It's not a secret that the millennial generation is currently the largest generation in the U.S. workforce. There's a lot of millennials out there and frankly, if there was any generation that compliments the DNA of the non-profit life, it is the millennial generation. While some of us from the more "seasoned" generations may have our opinions/questions on the millennial culture, life-style, and value system... I believe that this generation is perfect for helping non-profit organizations launch forward. There is no need to fear the "millennial" way and you shouldn't because you will need millennial team members to help take your organization to the next level. And guess what? They need you too and want you have to offer. When a millennial we interviewed was asked why she desired to be involved in a cause-focused career, she said, "It feels good to do good. That's why." Generally, millennials feel recharged when involved in meaningful work that brings about influence and positive change. They want to know and feel like they are making a difference. Non-profit organizations are mission-based and millennials are missional. Nonprofit work provides a natural way for this generation to feel good about the work they do. When interviewed, we asked a millennial what was the most attractive about working for a non-profit organization and they replied, "Diversity is really important to me. I want to be in an environment that gives me the most access to diversity and I feel non-profits are naturally diverse." True to nature, non-profits are diverse work communities that are have been created around a common mission. The mission itself can lend to experience with diverse cultures, familial dynmanics, social economic conditions, etc. Tiffany Gourley says, " millennials want more than just work; they want the ability to enjoy the world in which they feel connected and accountable". Millennials are attracted to the flexibility that nonprofit organizations are able to offer in terms of schedule. They tend to shy away from the "rat race" and want to be able to contribute to the general cause of good while not sacrificing personal leisure and everyday enjoyment. Many nonprofit organizations have been able to become creative and maximize this opportunity for millennials to cultivate work-balance by offering flexible schedules. These are just 3 of the many great things that nonprofit organizations can offer the millennial workforce. 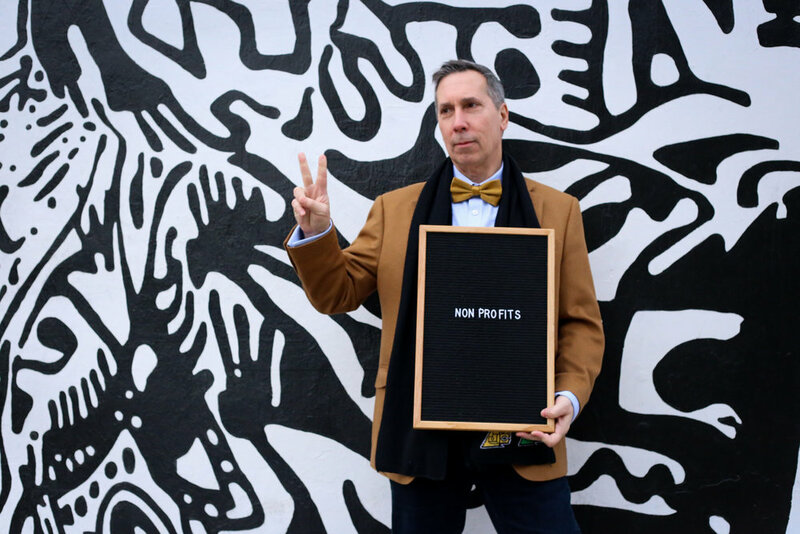 Millennials have a lot of great things to offer non-profits too: a natural bent towards being missional, technology/social media fluency, desire to work collaboratively, and much more. Together millennials and non-profits can get a lot of good done... and isn't that what we all want anyways?